Molecular Biology: A Checkmate to Creationism – Is the West ready for Islam? Sir Charles Darwin did three very separate things. There are three different aspects of his works that spanned over several decades of his life from 1809-1882. As we talk about him it is very important to focus on his three works separately. Molecular Biology: A Checkmate to Creationism, pertains to this aspect of his work. The Second work of Darwin was that he proposed how evolution happened. He proposed that “natural selection” was the main mechanism behind evolution over billions of years. However, there may be additional mechanisms at play such as intracellular or genetic mechanisms. Thirdly, Darwin or at least the neo-Darwinists suggest absence of any living will that controlled the evolutionary processes and their outcome. It is suggested that it is a totally blind process determined by chance alone and survival of the fittest. 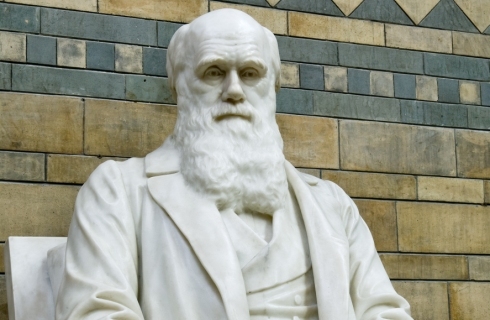 This article covers the first aspect of Darwin’s work where we completely agree with him. Molecular biology is the best proof to establish common ancestry of all the 30 million life forms on this planet. Establishing evolution strikes a fatal blow to the dogmas of Original Sin and Atonement of Christianity. This is precisely the reason why in this day and age of information, 45% of USA population, continues to believe in young earth or creationism, to maintain their belief in dogmas of Christianity. To review the whole article go to: Molecular Biology: A Checkmate to Creationism. Darwinian Evolution: Islam or Christianity? – For Christians, To be Born Again in Islam! linked to this post. Challenging all Boastful Muslim Preachers to Debate with me the Facts of Evolution | The Muslim Times linked to this post. Pope John Paul II and Me: ‘Truth Cannot Contradict Truth!’ | The Muslim Times linked to this post. Exposing Creationism of of Zakir Naik and Tahir ul Qadari | The Muslim Times linked to this post. Exposing Creationism of Zakir Naik, Tahir ul Qadari, Yusuf Estes and Harun Yahya | The Muslim Times linked to this post. Pope John Paul II and Me: ‘Truth Cannot Contradict Truth?’ – The Muslim Times linked to this post. Exposing Creationism of Zakir Naik, Tahir ul Qadari, Yusuf Estes and Harun Yahya – The Muslim Times linked to this post. Scientific American ignoring the Elephant in the Room: Darwinian Evolution: Islam or Christianity? – The Muslim Times linked to this post.